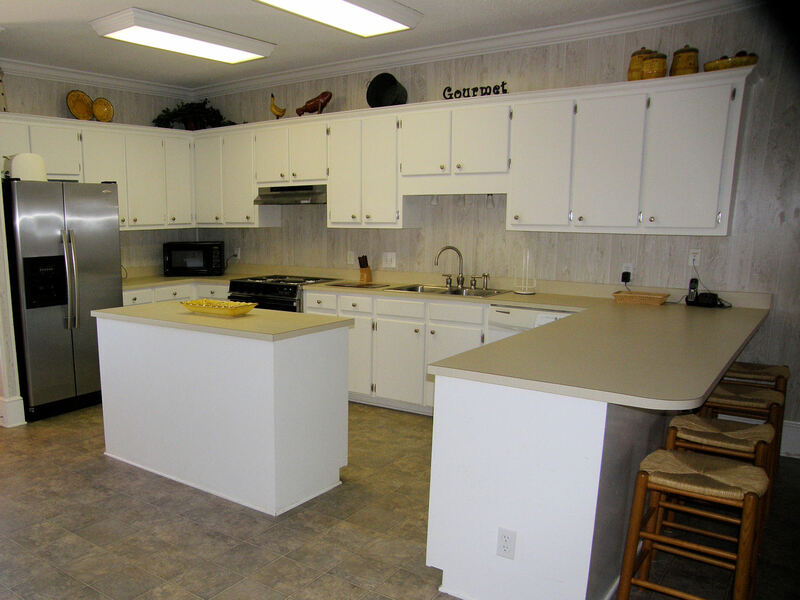 Island Time is attractively decorated with a spacious, open floor plan, large kitchen with ample storage and counter space. 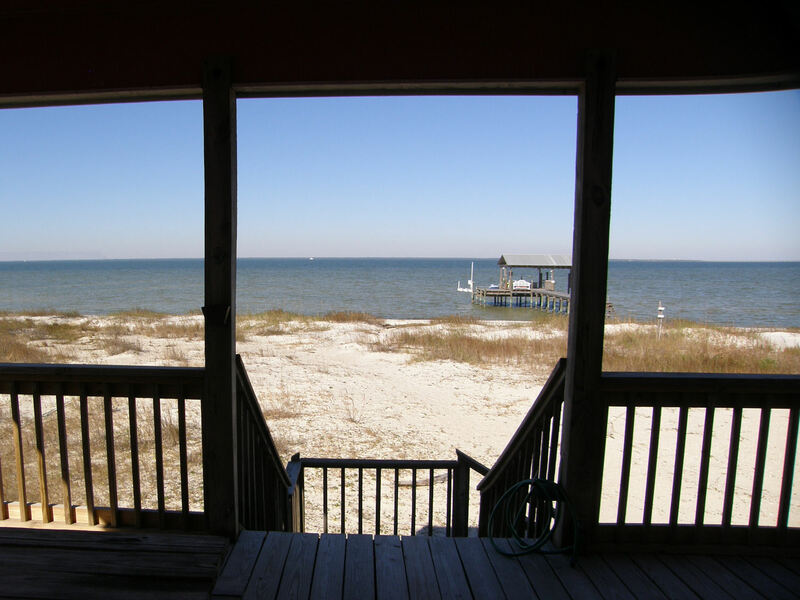 Enjoy the beautiful waterfront view from Island Time’s large open and covered waterfront deck and play at the private shallow water bay beach just steps from the home. 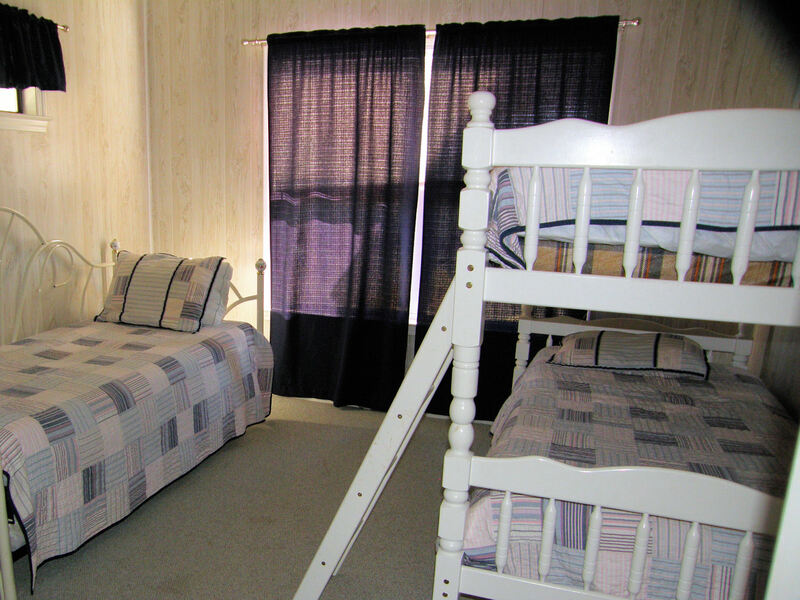 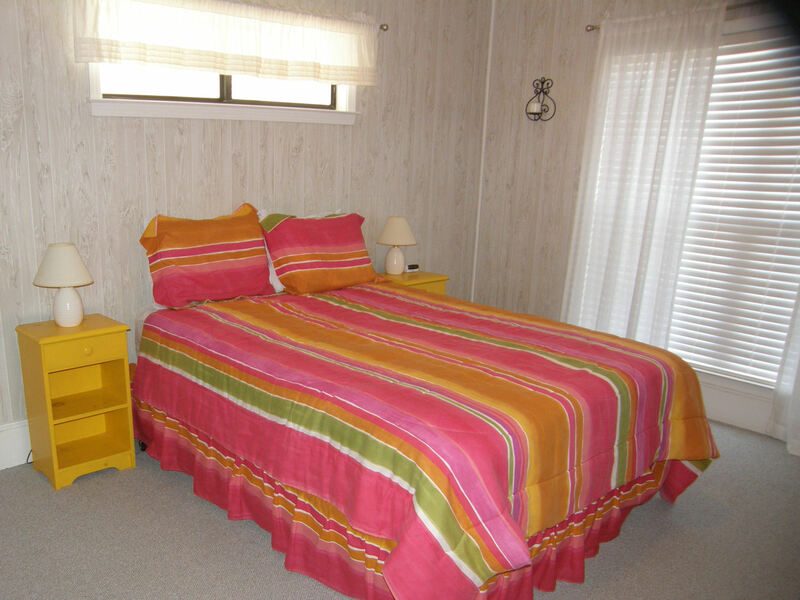 Two waterfront view bedrooms each have Queen sized beds, the third bedroom has 2 twin beds, and the fourth bedroom is equipped with 1 set of twin bunk beds and 1 twin daybed with a pull out twin trundle bed. 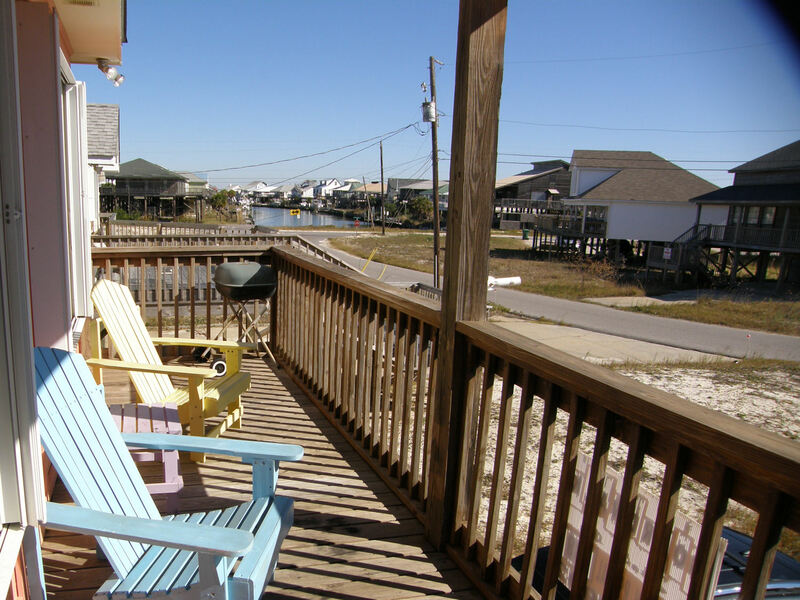 The large waterfront deck has both open and covered area with deck chairs, a picnic table and built in benches for comfortably viewing the Island’s great sunsets and sunrises. 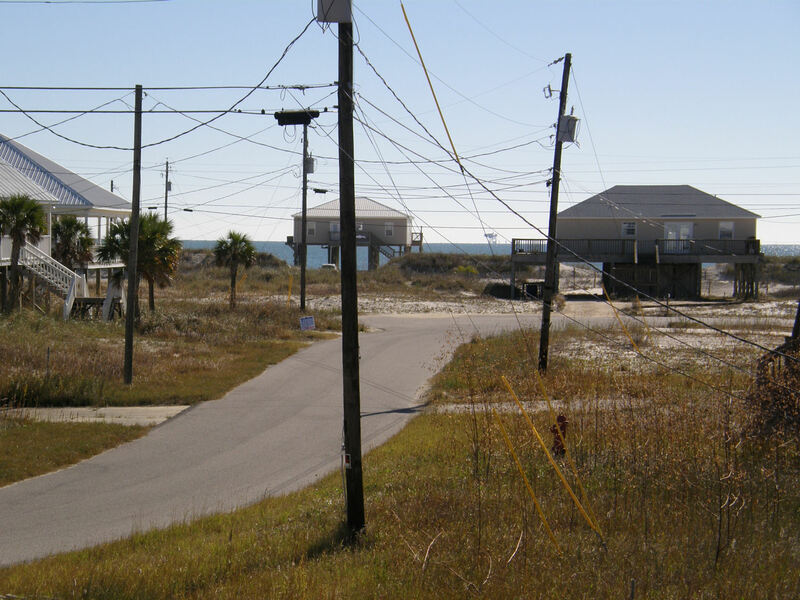 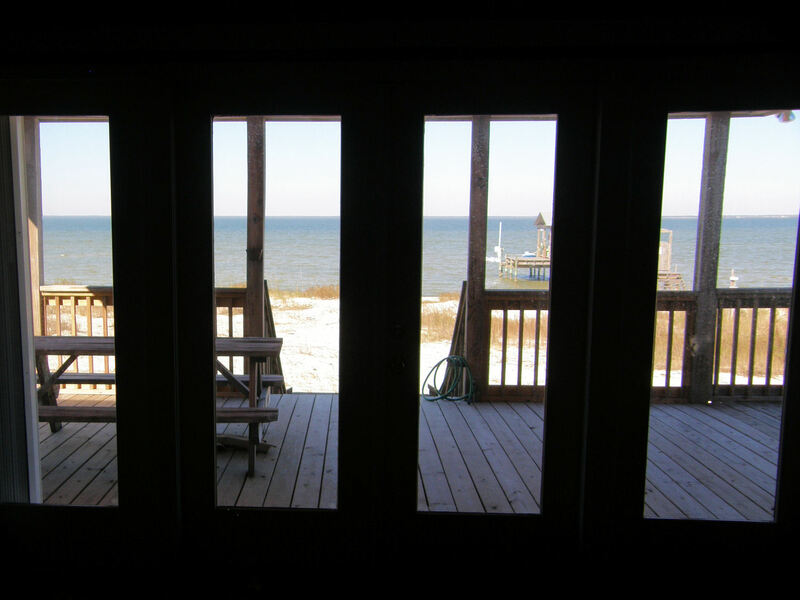 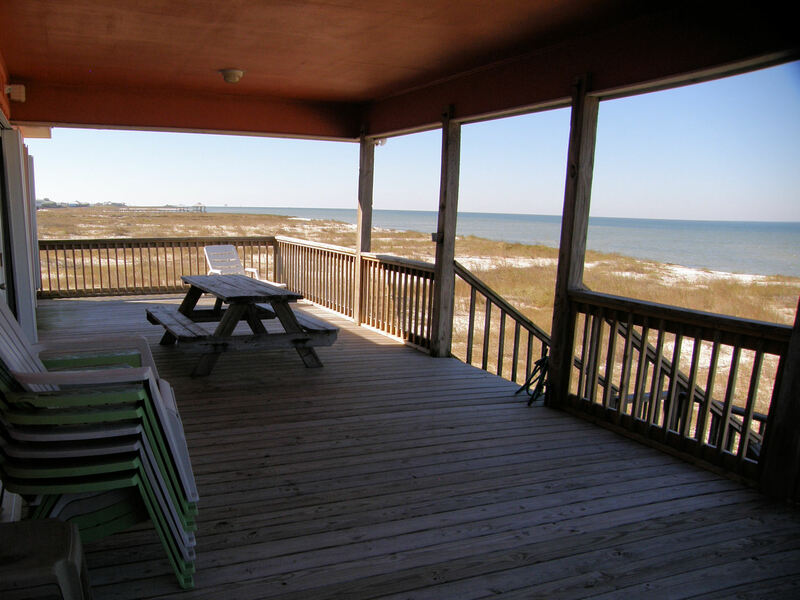 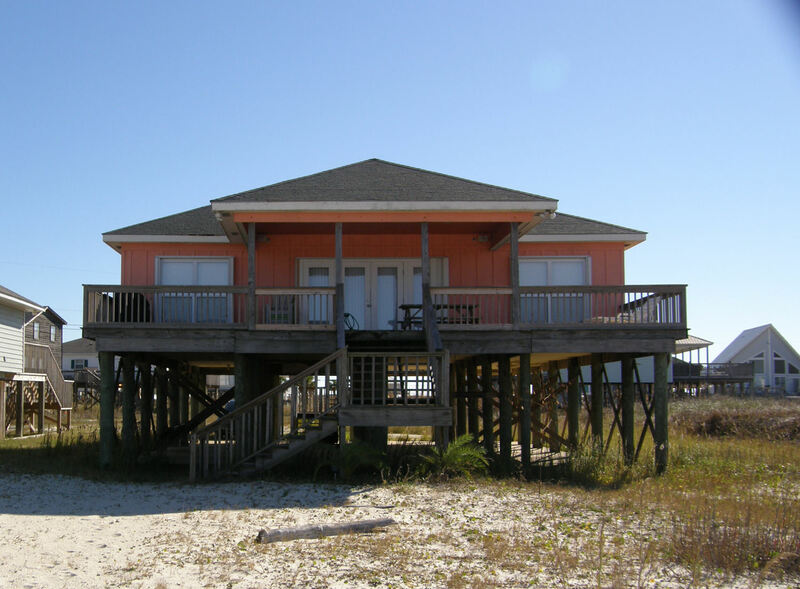 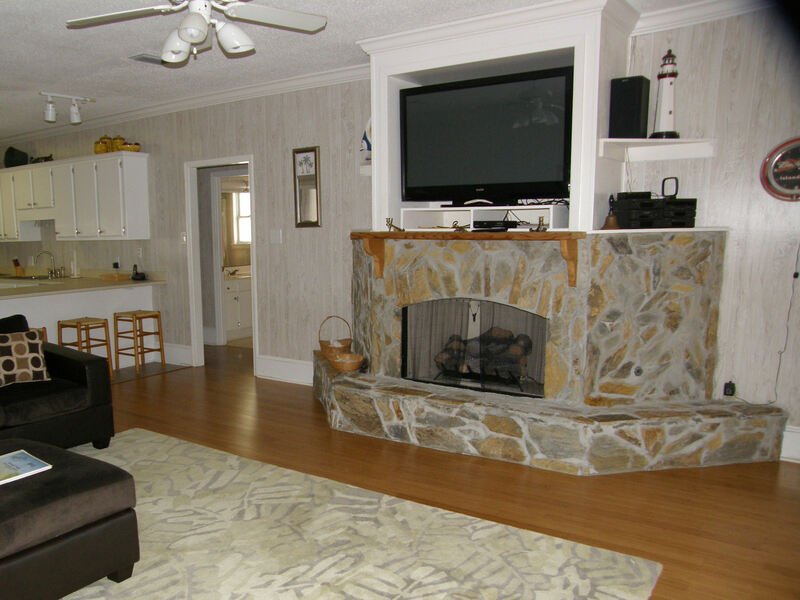 Gulf beach access is also available, just a short walk away. 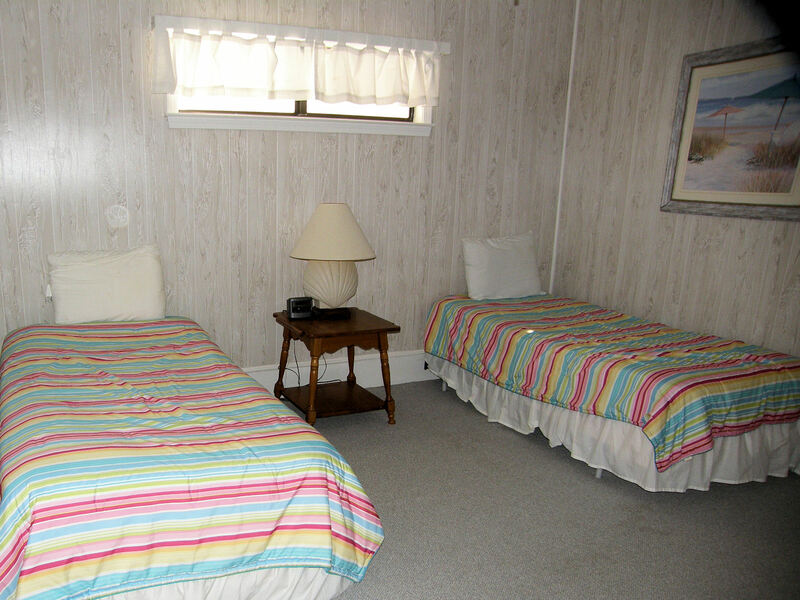 Covered parking is available under the home. 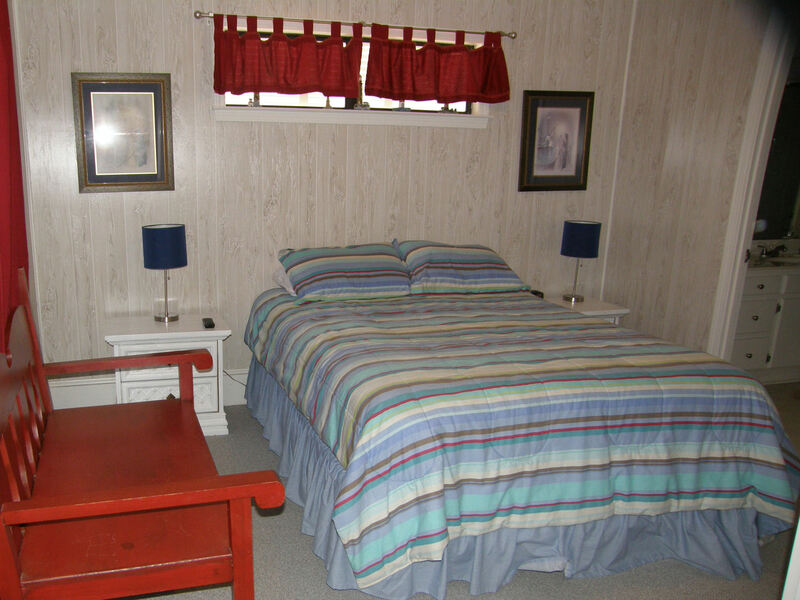 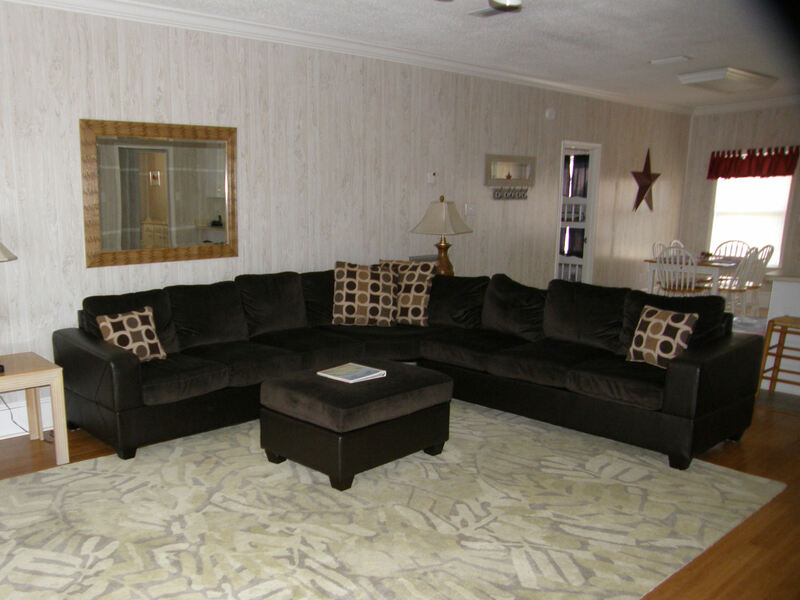 Amenities include free WiFi, 3 cable TV's, DVD, VCR, washer/dryer, under house parking, stroller, Pack 'n Play, portable high chair seat & a selection of board games for the kids. 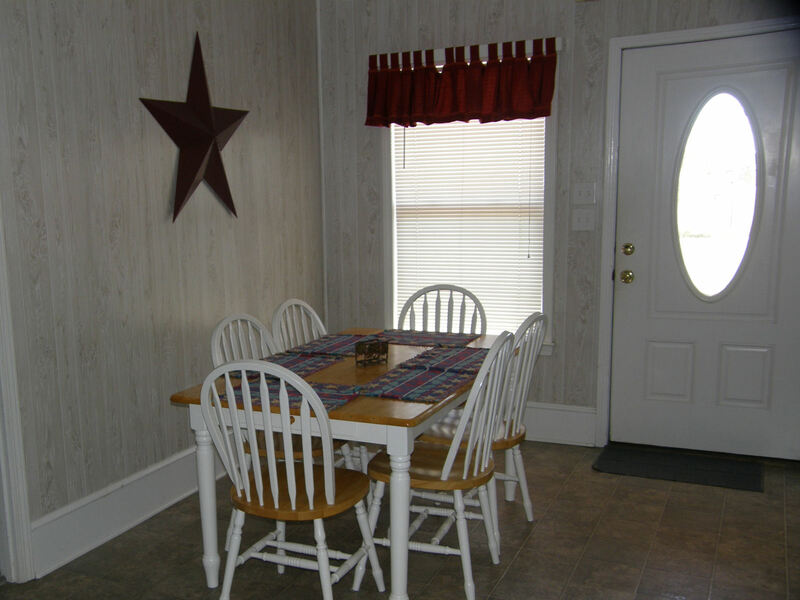 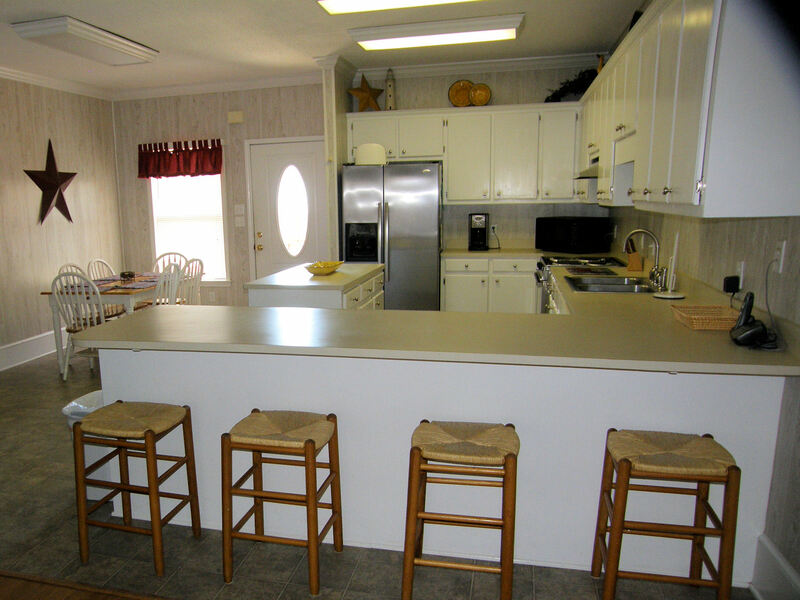 Well equipped kitchen with dishwasher, microwave, coffee maker and blender.